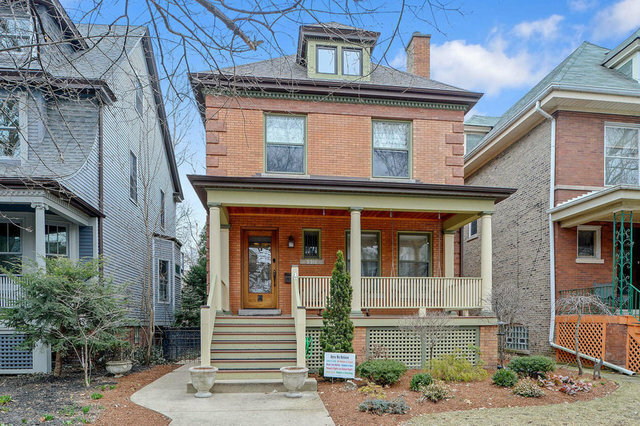 Completely renovated historic property with gracious living space on all four levels. Enter into a beautiful foyer with original wood staircase. A stately fireplace is the focal point of the generous living & dining rooms. The chef's kitchen's features Wolf & Subzero appliances, including steam oven, built in Miele coffee center. An expansive teak & walnut island is surrounded by leathered quartzite countertops. The adjacent family room shares heated floors & includes a second fireplace. The master suite boasts a sitting area w/fireplace, walk in closet, and ensuite bath w/steam shower. Lower level is ideal for kids & guests w/spacious rec room w/wet bar, sauna, wine cellar, exercise room & bedroom. The backyard is a culinary dream with large patio for entertaining. complete w/outdoor kitchen including built-in Kalamazoo grill, sink, refrigerated drawers, & a green roof on the pergola for those farm to table meals. As a bonus, levels one thru three include rear balconies.